We are proud to announce that the first in our exciting new Speakers Series at the Museum of Flying was a success. 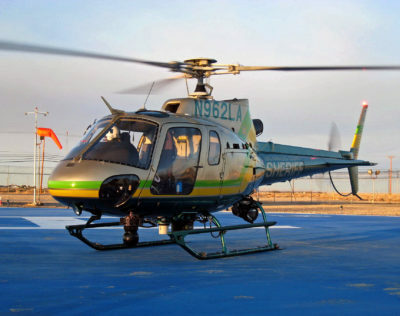 Presenting an informative program celebrating rotary-wing aviation, LA Sheriff’s Department Command Pilot SGT Morrie Zager gave an in-depth presentation on helicopters, and how they are used today for rescue, law-enforcement, and a host of other missions. The presentation was followed by a discussion about helicopters plus an audience question-and-answer session. The Airport ArtWalk showcases artist studios and creative venues occupying the airport’s converted airplane hangars. Featuring art and ceramic demonstrations, theater and art workshops, food trucks, and even live music, ArtWalk offers a fun-filled day of artistic exploration, plus special activities and exhibits at the Museum. Saturday, March 23, 2019 from 12:00 noon to 5:00pm. The second in our new Speakers Series features an inside look at the exciting world of experimental flight testing with Lt. Col. Gary Aldrich, USAF (Ret. 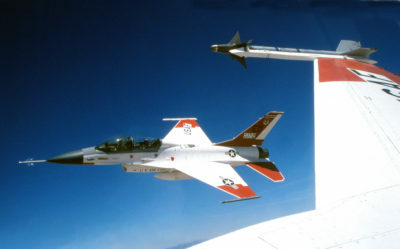 ), former instructor at the U.S. Air Force Test Pilot School at Edwards Air Force Base. Aldrich was also Lead Flight Test Engineer on several aircraft programs and will describe the world of flight test from a personal perspective, with a discussion and audience Q&A as well. Following this presentation, we will have the dedication and opening of our newest exhibit featuring pioneering Douglas-built aircraft in flight test. Please join us in the Museum theater for this outstanding program on Sunday, March 24, 2019 at 1:00pm!